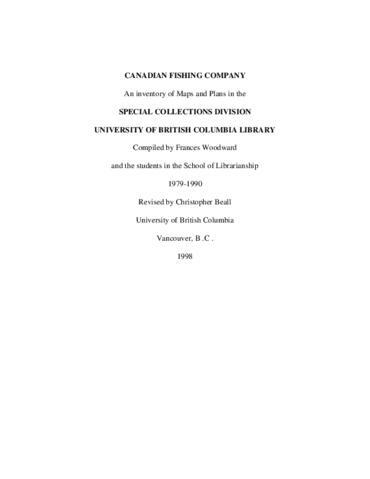 Series contains various over sized plans, schematics, lists, and maps related to the Canadian Fishing Company's locations and operations. Compiled by Frances Woodward and the students in the School of Librarianship, 1979-1990. Revised by Christopher Beall in 1998 and by Eric Walerko in 2015.